The link from the above image will take you to very useful information from our partners at Betterbond in a new window. 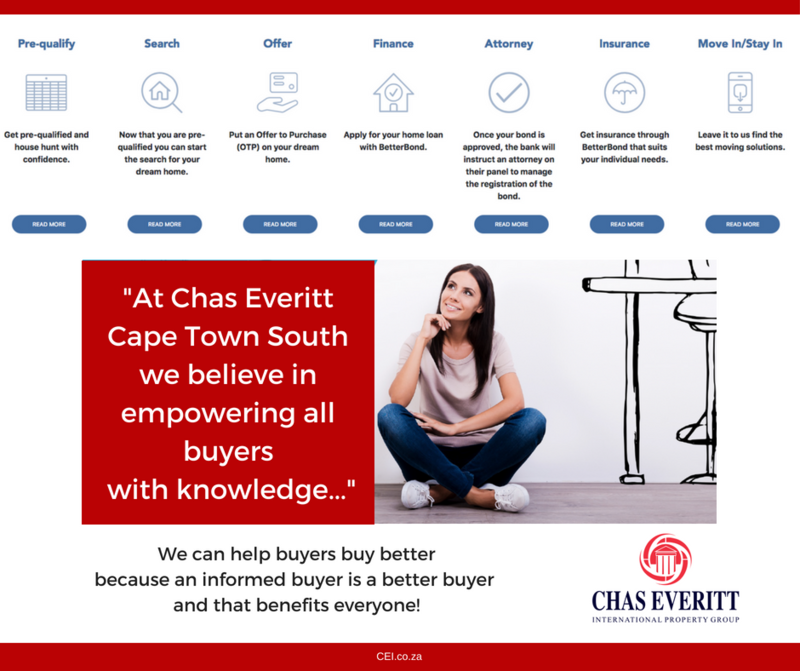 Below we will be providing additional links and information all aimed at helping you become an informed and qualified buyer. Your search for a property in the Cape Town South areas is not frustrating if you have access to objective advice. Our Street Reports and our Area Reports are two very useful ways in which you can be informed about prices in a suburb and even in a particular street. Both of these can be provided or prepared for you by our agents. You can also participate in live Online Webinars and you will be able to ask any questions you have. A series of six short buyer focussed videos will also be launched shortly and will be posted here.